Kitchens are usually a hive of activity and it is important to make sure that fire safety standards are upheld. They usually contain multiple fire risks from solid combustible material to high temperature cooking media. Most commercial kitchens contain large scale combustible cooking media such as cooking oils and fats. Class A - Suitable for solid combustible materials such as wood and textiles, these materials are often found in kitchens in the form of cupboards, notice boards, waste bins and towels. Class F - Suitable for large burning oils risks which are often found in kitchens in the form of deep fat fryers, frying pans, cooking oils. Most class F extinguishers also have a special application lance. Wet chemical fire extinguishers lay a smooth cooling blanket on top of the burning liquid and help to prevent re-ignition. 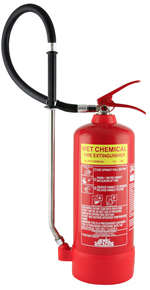 Wet chemical extinguisher are not generally suitable for use on other types of fire due to its unique application. Almost every kitchen, commercial or residential, will contain small scale combustible cooking media such as cooking oils and fats. 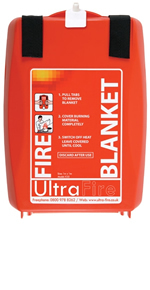 Fire blankets generally have the same effect on cooking media fires as a wet chemical fire extinguisher but are much lighter and more versatile. Fire blankets can also be used to put out clothing fires by wrapping them around the person who is on fire and smothering the flames. Fire blankets do not generally provide enough coverage for larger scale fire risks such as commercial deep fat fryers. The user has to get a lot closer to a fire when using a fire blanket instead of an extinguisher. 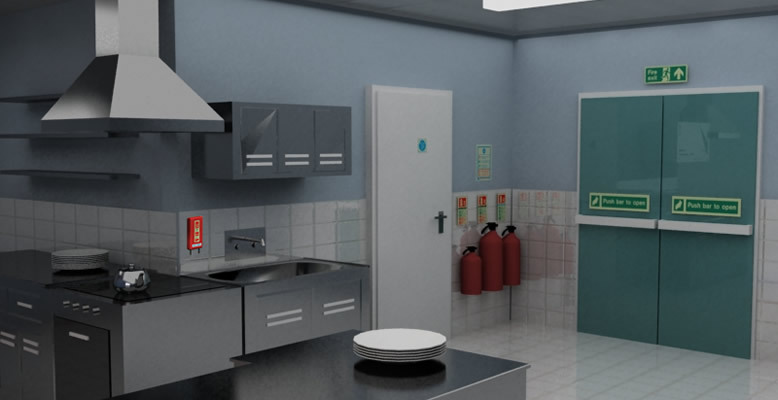 Kitchens will usually contain varied fire risks such as solid combustibles, combustible gas and electrical equipment, to ensure that all these risks are covered a water mist fire extinguisher would be recommended. There is no clean-up or hazardous media used making water mist ideal for keeping the kitchen open after use. 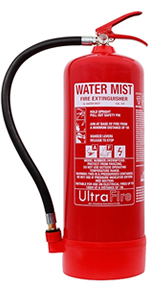 Water mist fire extinguishers are suitable for use on class A, B, C, F and Electrical risks which are all found in a modern kitchen. Using de-ionised water, clean-up is minimal and does not affect the running of the kitchen. Water mist is proven and certified for use on class A, B, C and F fires.